Venue is subject to change and will be notified in advance to all via social accounts. 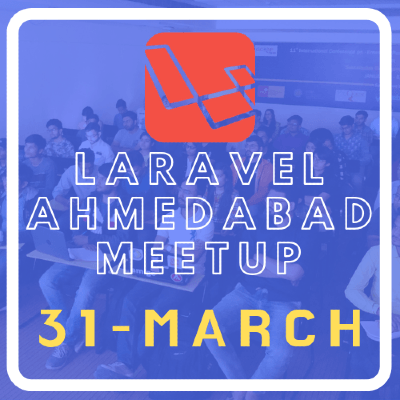 The Laravel Live Community caters to people who want to get an edge over their skills, and knowledge of Laravel as a language. Anyone who is contributing to Open Source, building APIs and into the development with Laravel, could expand their competence by this platform where knowledge sharing happens with electrifying events. Laravel is community driven framework. Community has played its vital role in building us. Now when we give it back in any form, all the needed laravel-person in the world can see, appreciate, share, contribute more to your work - this is the only purpose of Laravel Live Community. It is my - yours responsibility to actively grow this community. For that community is eager to see participation from all of us as an active attendee, active volunteer and active speaker. Connecting with like-minded people is always considered as an advantage. Learning will be there forever, so community hopes to start the first event with a great contribution from one and all. See you sharing. For upcoming invites speakers are invited.